Small business and the Affordable Care Act: It’s Here! About six months ago, I wrote in a post here reasons why Obamacare could prove helpful to small businesses and startups. 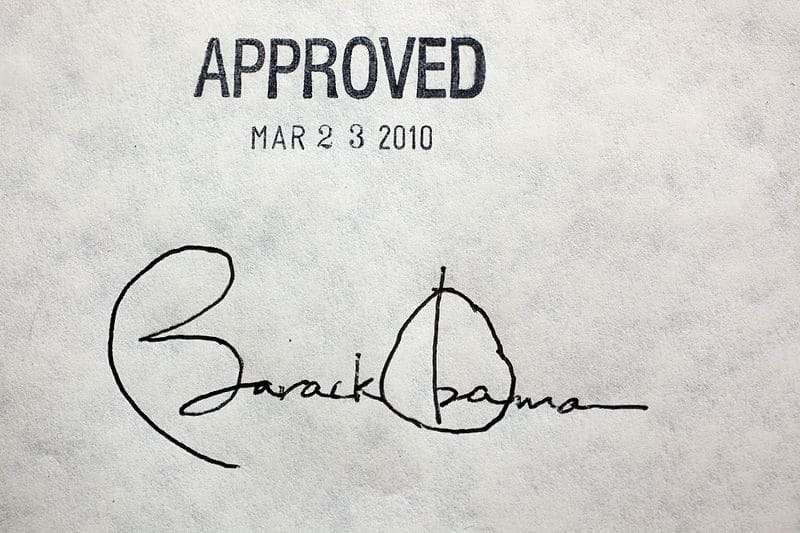 This past summer the Supreme Court determined that the Affordable Care Act of 2010 (dba Obamacare) was indeed constitutional and could proceed to implementation. And, despite the god-awful rollout of the Healthcare.gov website, last week saw the (almost) full start of the new rules, regulations, and coverage kick in. Millions of people around the country have signed up and are now covered by new insurance policies as dictated by the law. If all goes well, we will be a stronger country, in terms of both our economic and physical well-being. The ACA requires businesses with more than 50 full-time employees (or the equivalent) to provide health coverage deemed ‘affordable.’ To be considered affordable, the plan offered must cover at least 60% of an employee’s health care costs and they can not be made to pay over 9.5% of their full family income for it. But for smaller businesses there is no such requirement and most of these small companies already qualified for a tax credit of up to 35% of the costs. This year that credit increases to 50% of the costs if the small business offers insurance through its state’s health insurance exchange. For small businesses, especially micro-sized businesses with fewer than 10 employees, while the ACA does not carry meaningful legal impacts or obligations, it will go a long way in helping business owners pay for their own insurance and will be a huge boon to smaller businesses that are committed to providing health benefits to their workers. Although they are not required to do so, many small business owners have historically furnished their employees with insurance coverage and the new marketplaces (once fully operational) should serve to reduce costs and make the process more convenient.